hi trident. but trident of what? i mean trident of satan or trident of navy seal? am a prety good damn sure that you are NOT a trident of navy seal beacause seal stands for sea,air,land and that is nature. i am an itukon who see that mount iraya every day and my pasture land is facing that mountain so i do hope that there will be more photographers who take a picture of that mountain in a different angles. GREAT FANTASTIC PLACE... THIS IS MY DREAM... THE BATANES ISLAND. I WISH I CAN GO THERE TO VISIT THE PLACE AND I WANT TO BUY ALSO A LAND PROPERTY WITH ATLEAST 250 SQUARE METER. 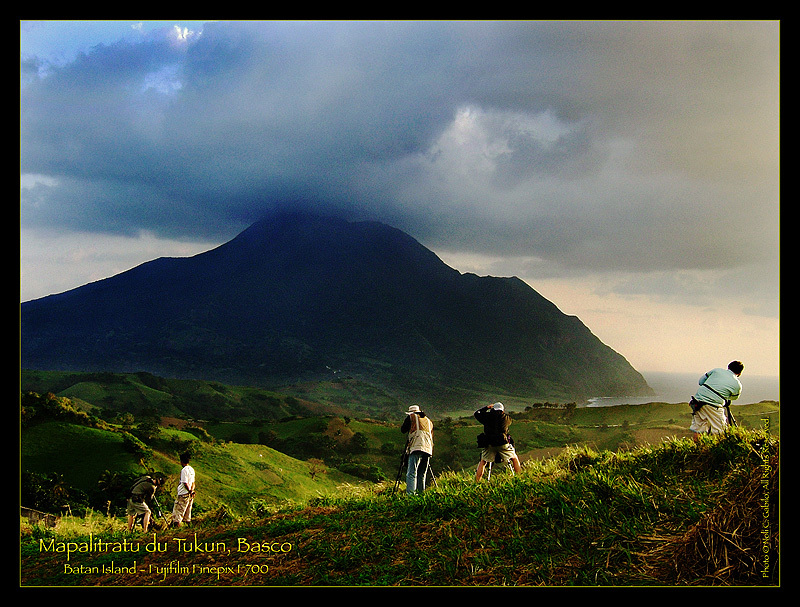 BECAUSE FOR ME LIVING IN BATANES EVERYTHING IS WONDERFUL.. NO TRAFFIC, FRESH AIR, VERY HUMBLE & HOSPITALITY PEOPLE. TRIDENT GALIT KA? kANINO? SA KALIKASAN, SA PHOTOGRAPHER O SA AMING IVATAN? OBVIOUSLY UR NOT AN IVATAN! show me your pictures trident. are you on drugs while commenting to Noli's pictures one by one? budd go take ur vitamins first before posting comment... "A complete waste of film"? hayzz ivatan ka pa sawun as.. katungan dimu an akuh mata mo du pix aya dawa vatahun mo u ka "waste of film" nah.. inawyah ka pa..
tos, alala kori, tud konanti's va'tinyen hahaha..nu kalabrote..ara kami na mivayat du pagadaman ta, tarek a pere..
Hi to anyone who join with us who appreciate the beauty of NATURE, unfortunately someone says its a waste of film, well i just wonder if he ever watch the movie making shows..
To: Karaboboan, gat arah taywara man-inainawyay o vatah maya du mapsek aya naniyering di kagtin naya, hahahaha, well any way whatever comments then let it be, how do we know whether he look at black as red??? who knows? people will read his thoughts any way !. Hi Trident, Beauty is in the eye of the beholder, say nothing if good cannot be said..
Why " a complete waste of film"? You'll never know what's in the mind of the photographer. As the title says (but I understand you don't understand what it means) "mapalitratu" means picture-taking and is the action describing the photographers. And that's the whole subject. The title could have been different if the photographers are out.